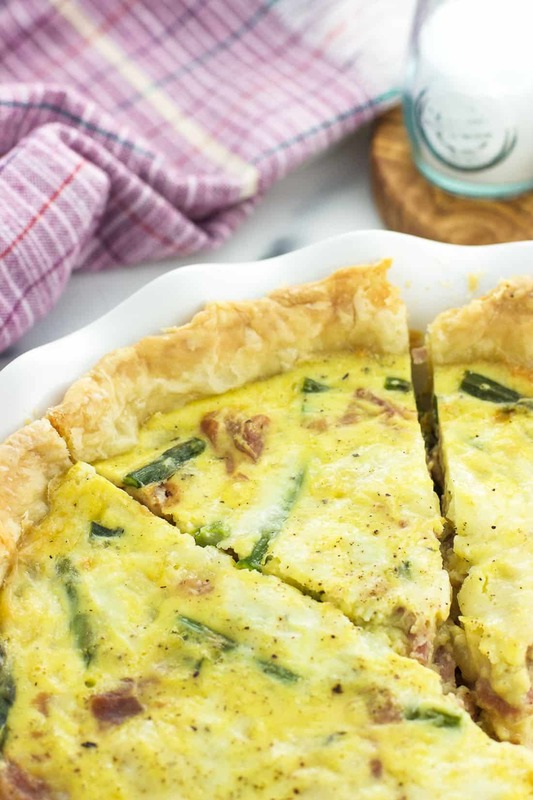 This Prosciutto and Asparagus Quiche recipe features an all-butter flaky pie crust and a creamy and light filling including Gruyère cheese. 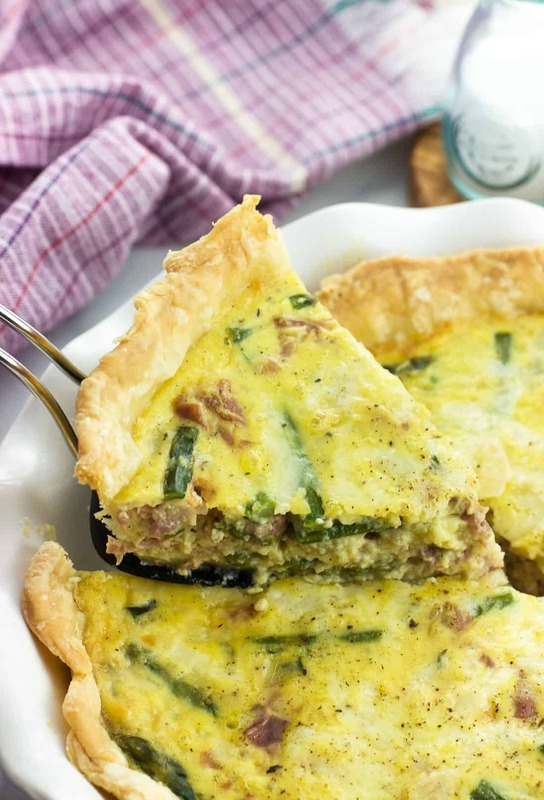 Enjoy this homemade quiche for breakfast, dinner, or any meal in between! While I’m not putting away my winter coat just yet, our daffodils have bloomed, which has caused my thinking to rocket towards all things spring. Short sleeves, planting a garden, and new seasonal produce are all in our future. Even if some days the first one seems very far away. Along with the beginning of spring comes planning an Easter brunch menu, for which this quiche would be an excellent choice. Filled with prosciutto, asparagus, and Gruyère cheese, this hearty quiche is made with Plugrá® Butter for a seriously next level meal. I bought Plugrá Butter at Publix and am so impressed by the results. 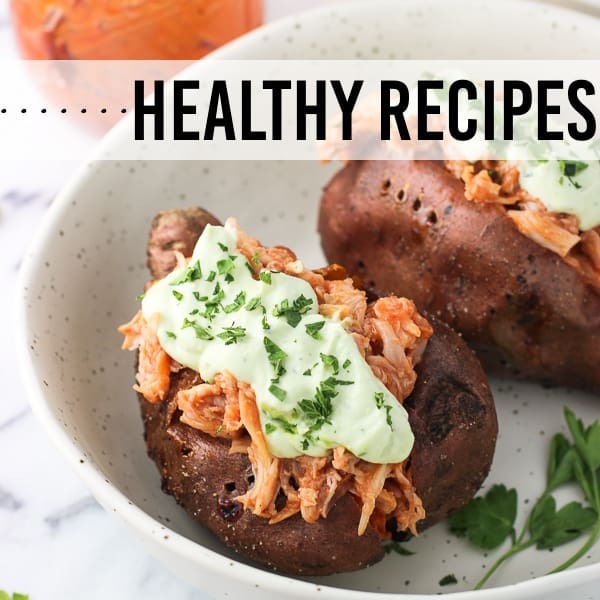 It’s made with real milk from American dairy farms (in comparison with other leading premium butters which are imported), and features no artificial ingredients or added growth hormones. 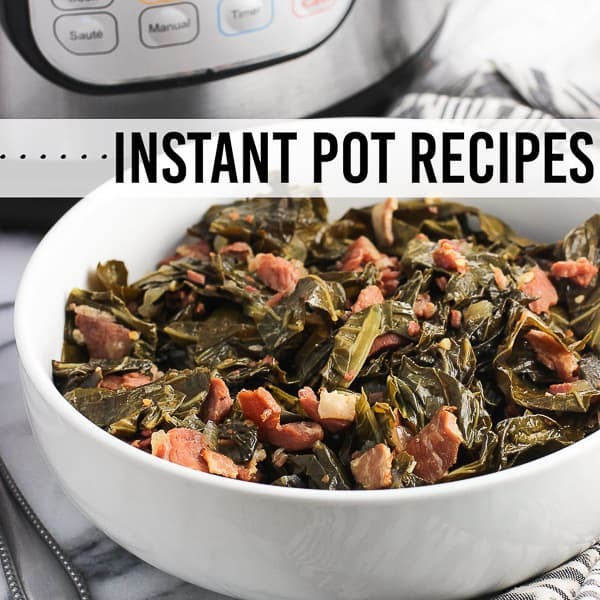 It’s also slow-churned for less moisture, which leads to optimal flavor and performance. 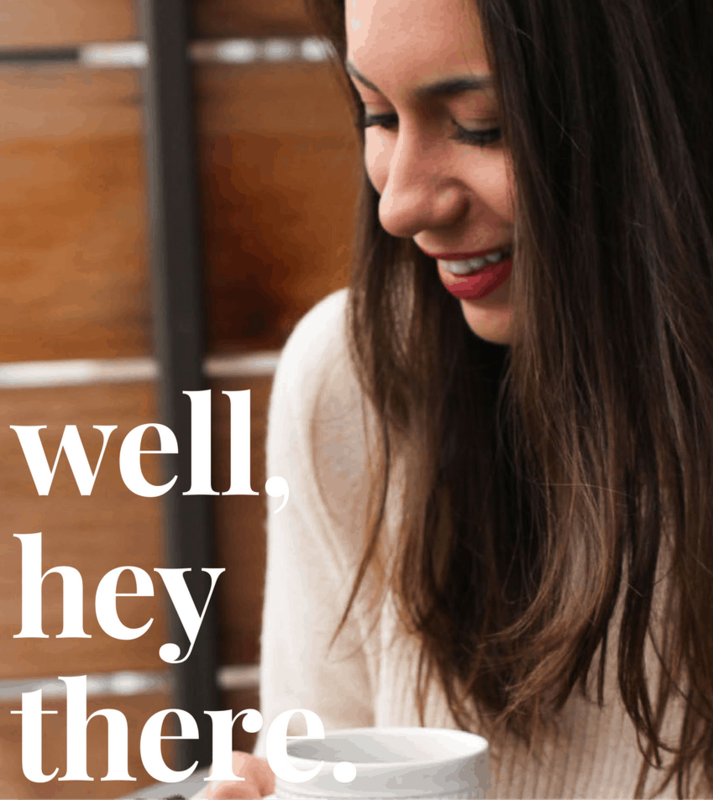 All good things! You know how most butter is 80% butterfat? 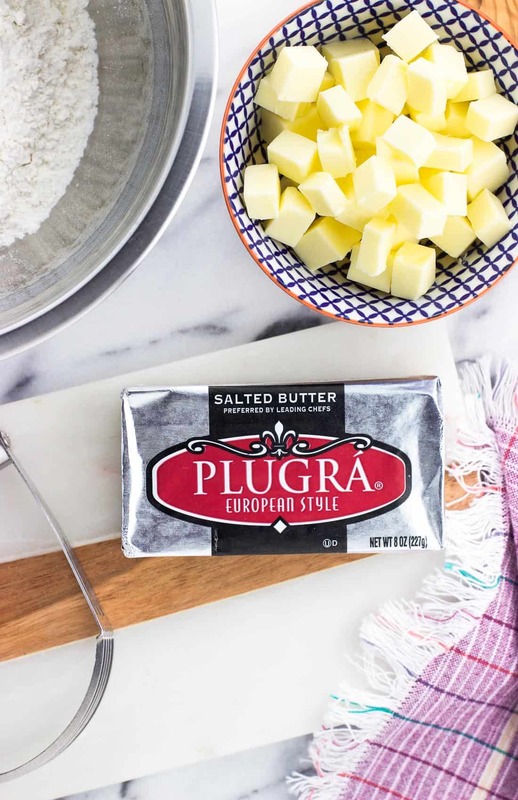 Plugrá contains 82% butterfat for a creamier flavor. 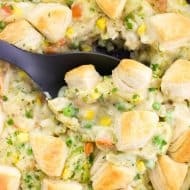 This means flakier pie crusts (more on those in a second), softer cookies, and more flavorful sauces. 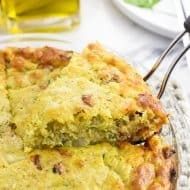 It’s so nice I gladly used it in both the pie crust and in the filling for this Prosciutto and Asparagus Quiche recipe. 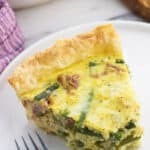 What I love about this asparagus quiche is how easy it is to elevate a regular breakfast or brunch dish just by choosing premium ingredients. 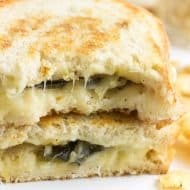 Prosciutto provides a more decadent feel instead of using standard ham, while Gruyère adds a bolder, complex flavor versus a more common cheese such as cheddar or Swiss. 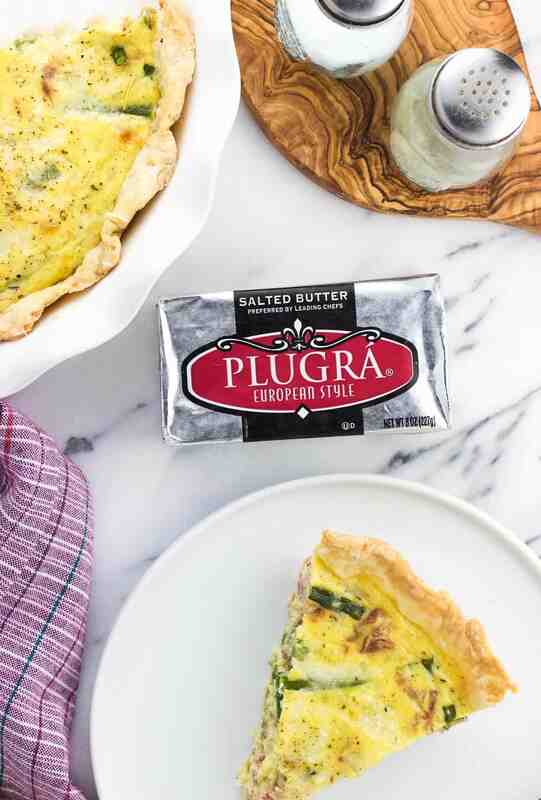 When combined with using a premium butter like Plugrá, these simple ingredient swaps result in a better quiche recipe certainly worthy of gracing your holiday table. 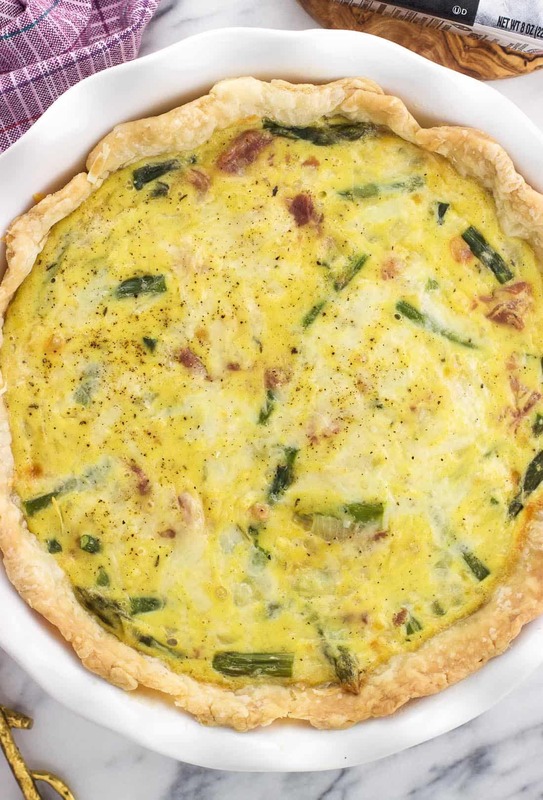 This brunch-worthy asparagus quiche starts with a homemade pie crust. 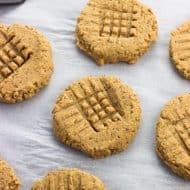 I’m not a pastry chef by any means, but a few tips and tricks will help you on your way to a golden and flaky pie crust. Keep your ingredients cold! Both the butter and the water should be as cold as can be for an optimal pie crust. Don’t overmix the dough. Small chunks of butter are just fine — in fact, that’s what we want. Those solid pieces of butter will result in perfectly flaky bits. Add water 1 tbsp at a time. The pie crust is ready when the dough just holds together when squeezed. Too much water can cause the dough to become sticky, which is not fun to work with. Blind baking, or partially-cooking, the pie crust before adding the quiche filling helps it to achieve crispness and maintain structure. This is done by gently lining the inside of the pie crust with parchment paper to hold pie weights while you bake it. You can purchase pie weights, but you can also improvise using dried beans, which is what I’ve done here. Make sure to arrange your pie weights up along the sides of the crust, too. After a spin in the oven, carefully remove the parchment with the pie weights and bake the crust one more brief time, or until the bottom appears dry. Take the crust out of the oven and allow it to cool as you prepare the quiche filling. Start by melting two ounces of Plugrá Salted Butter in a skillet. 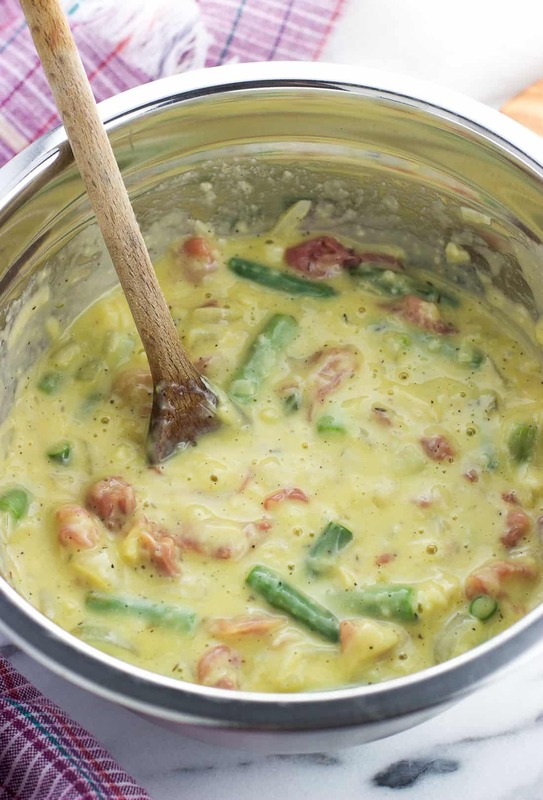 This provides a rich and delicious base for cooking the onion and asparagus. After a quick season with salt, pepper, and thyme, sprinkle flour over the vegetables in the skillet. Everything will gum up quickly, but stir and cook for a few minutes to cook off the raw flour taste. Next pour in the milk and stir, stir, stir. 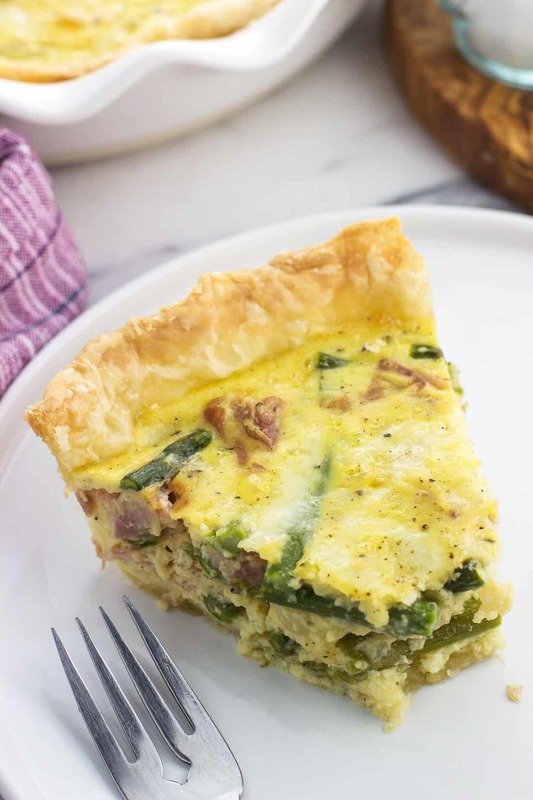 The mixture will thicken up within a minute or two, providing a beautifully creamy element to this Prosciutto and Asparagus Quiche. And what would a quiche be without eggs? 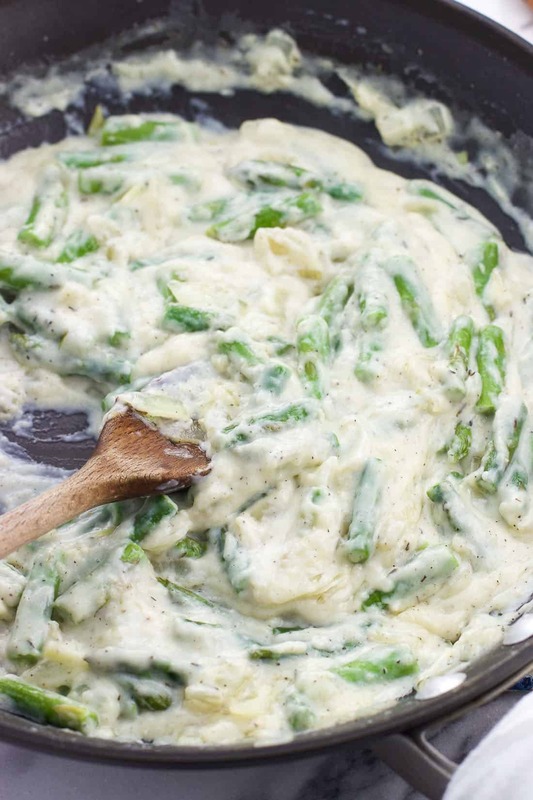 Beat four eggs in a mixing bowl, then add in the creamy onion and asparagus mixture from the skillet. Stir in half of the Gruyère (the amount doesn’t have to be precise) and all of the prosciutto until all is combined. There’s your filling. Scatter the remaining half of the Gruyère on the bottom of the pie crust, then pour in the filling. Bake for 40-45 minutes, or until the center is set, then let the quiche rest before slicing. We’ve been enjoying this quiche for breakfast, dinner, and really any time in between. It’s noticeable how using Plugrá Butter in both the flaky pie crust and the fluffy and balanced filling makes a difference for the better. It’s truly a star ingredient. To measure the flour, first stir up the flour in its bag or canister. Using a spoon, spoon out the flour into a measuring cup, taking care not to pack it in. Continue until the flour is heaping over the top of the cup. Using a straight edge like a knife or the handle of the spoon, level off the flour, allowing the excess to fall back into the bag or canister. Be mindful when adding the salt to the filling. I found just one-quarter teaspoon the perfect amount, as in addition to the Salted Plugrá Butter we’re also using prosciutto, which is salty itself. Add flour to a mixing bowl, then cold cubed Salted Plugrá Butter. 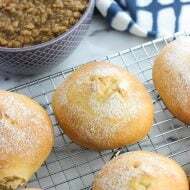 Cut the butter pieces into the flour using a pastry blender until small, pea-sized pieces remain. The dough will not be uniform. Add the ice water 1 tbsp at a time until the dough just comes together. You should be able to gently squeeze it and have it hold its shape. Too much water will cause the dough to become sticky, so go slowly here and add just as much as you need - it may be more or less than 4 tbsp (1/4 cup). Turn the dough out onto a piece of plastic wrap and shape it into a flattened ball about 1 1/2" - 2" thick. Wrap it tightly with the plastic wrap and place it in the refrigerator for at least 30 minutes, or the freezer for 15-20 minutes. Preheat the oven to 350°F. Once the dough is thoroughly chilled, flour a work surface and a rolling pin. Roll out dough onto a piece of parchment until it is an even thickness and about 12" across. Lightly grease a 9" pie plate with cooking spray. Transfer the rolled out pie crust to the pie plate (flipping over the parchment may make the transfer easier) and press it along the bottom and sides. Trim excess as needed. 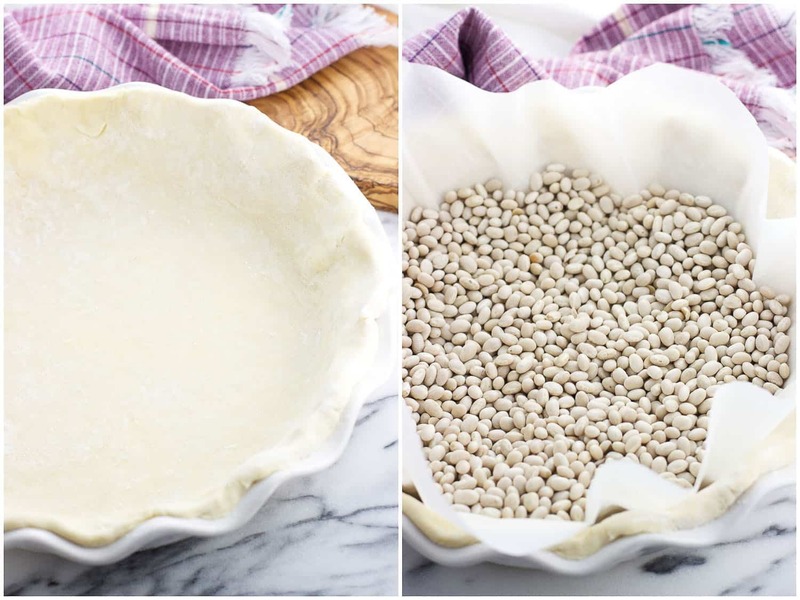 Gently line the pie crust with parchment paper and place pie weights (or dried beans) inside. Take care to arrange them along the sides of the crust in addition to the bottom. 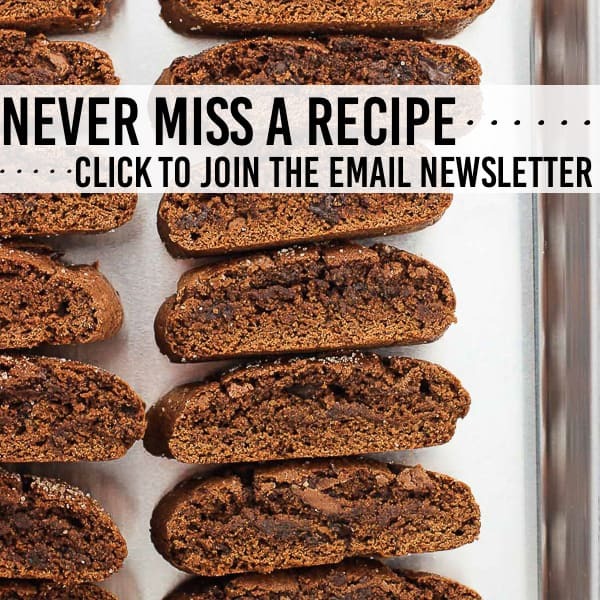 Bake for 20 minutes, then remove from the oven. Carefully remove the parchment with the pie weights from the pie plate. Prick a few holes in the bottom and sides of the crust with a fork to prevent bubbling. Bake for another 5-6 minutes, or until the bottom of the pie crust appears dry and just barely golden. Remove from oven and let cool some as you prepare the filling. Keep the oven at 350°F. Add 1/4 cup Salted Plugrá Butter to a large skillet set over medium heat. Once melted add onion and the asparagus pieces. Cook for 6-7 minutes, or until the vegetables are softening and the onion is beginning to turn golden. Season with salt, pepper, and dried thyme and stir. 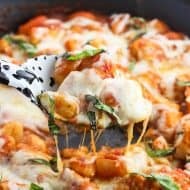 Sprinkle flour over the vegetables and cook for another 3-4 minutes. Pour in the milk and stir. The mixture will become smoother and thicken up as you stir over the next 2-3 minutes. Remove the skillet from the heat once the milk has thickened. Beat four eggs in a mixing bowl. Stir in the onion and asparagus mixture, then about half the Gruyère (amount doesn't have to be precise) and the prosciutto. Scatter the remaining Gruyère along the bottom of the pie crust. Pour in the filling. Bake for 40-45 minutes at 350°F, or until the center is set and no longer jiggly. Let cool and firm up before slicing. If you notice that the edges of your crust are at risk of over-browning before the quiche filling is finished cooking, cover the edges with strips of aluminum foil and continue cooking until the filling is set. I have not run into that issue here, but keep an eye on your quiche just in case. The total recipe time includes 30 minutes for the pie crust dough to chill.